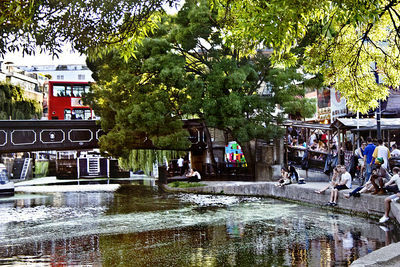 Where to begin with the Camden Markets? They sprawl across a large part of Camden Town and are one of London's top attractions selling virtually everything you could expect to find in a market environment. From clothing, music and antiques to art, collectibles, jewelry and food. The Stables area has alternative fashions, an antique luggage stall and loads of other quirky vintage shops. 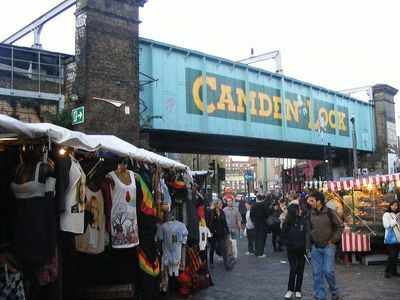 Camden High Street and the area known as the Buck Street Market are hit and miss with their merchandise so you need to dedicate some serious hours if you want to find a gem amongst the masses of often generic and low-quality clothing. If you're unfazed by big crowds, allow yourself at least half the day and set off to explore; there's no doubt you'll leave with a new treasure or a funky piece of clothing from one of Camden's up and coming designers. Don't miss the Antique Map stall in the Stables. It sounds dull but the maps are fascinating and beautiful and make a thoughtful gift for family and friends that will only rise in value and sentimentality.